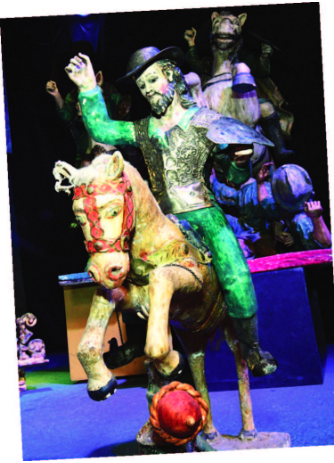 The objects date back to the seventeenth century and the majority corresponds to the Tata Santiago. 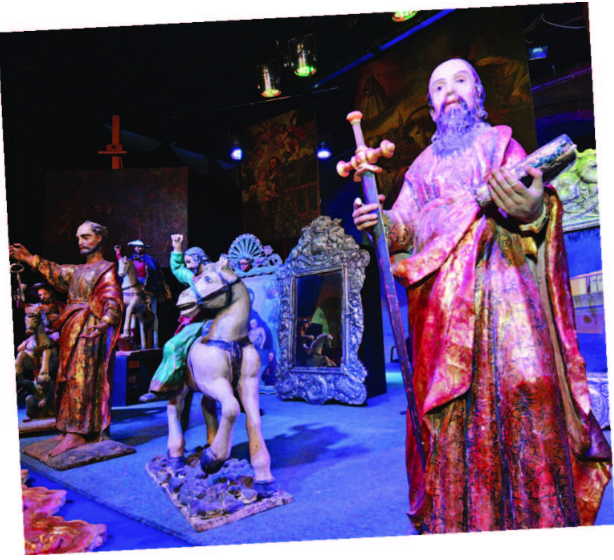 The rooms of the Casa del Artista were occupied yesterday by sculptures of saints and objects of silverware, which were rescued by officials of the Ministry of Culture and Tourism, from a house located in Santa Cruz. It is about 70 historical artistic pieces that go back to the XVII, XVIII and XIX centuries; silverware corresponds to the twentieth century. “The cataloging of the pieces is complete. It is about ecclesiastical property, which makes us deduce that they belong to churches and temples. They have a very high cultural value because they are unique pieces of the seventeenth, eighteenth, nineteenth and a part of the twentieth century,” said Minister of Culture, Wilma Alanoca. 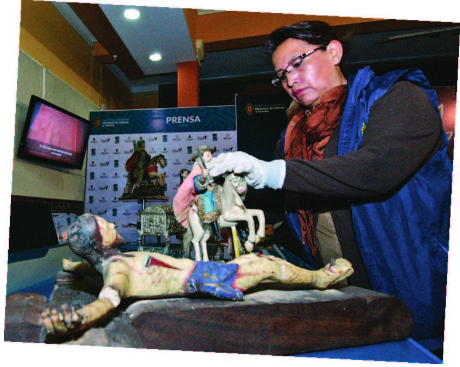 She reported that 80% of the sculptures of saints, which are made of glued cloth, polychrome and maguey, belong to Tata Santiago. 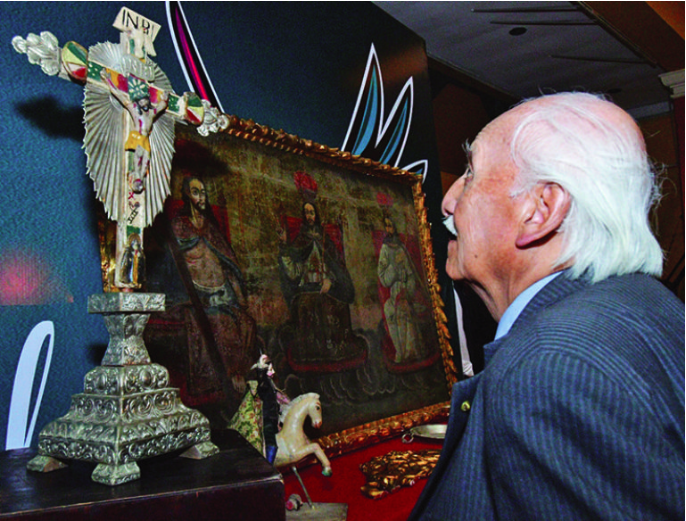 In the sample that the ministry put together, sculptures of the saint could be observed in different sizes. The authority reported that the recovery of the pieces was possible thanks to an anonymous report. When the Ministry of Culture, in coordination with the Special Anti-Crime Force (FELCC) and the Public Prosecutor’s Office searched the house, it was uninhabited. It is presumed that those responsible for the abduction intended to remove the pieces from the country. “It should be noted that people are aware that it is a crime to traffic these pieces. 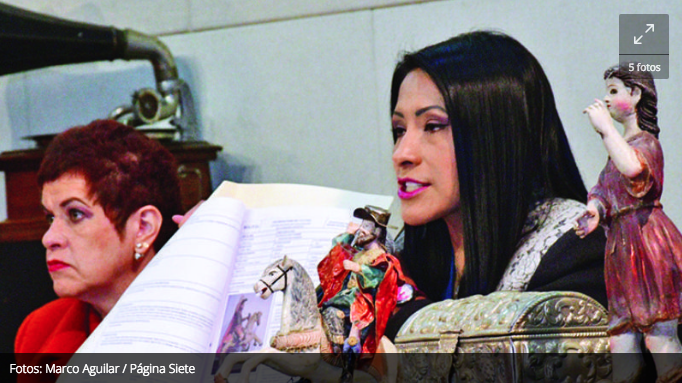 I believe that Law 530 of the Bolivian Cultural Heritage is bearing its first fruits, in addition to the repatriation of other works,” said the Minister. Among the pieces recovered there are eight easel paintings, 14 silver objects, several sculptures, two cult altarpieces, musical instruments and a liturgical garment. The works of art, in their majority, were restored and are in good state of conservation. Carmen Loza, head of the Intangible Assets Unit, reported that illicit trafficking in goods is the fourth type of traffic in the world. She presumed that the pieces would have gone to Brazil and then be marketed in Europe. She indicated that the number of complaints of this type decreased from 30, in 2017, to eight this year, which “is positive,” she said.